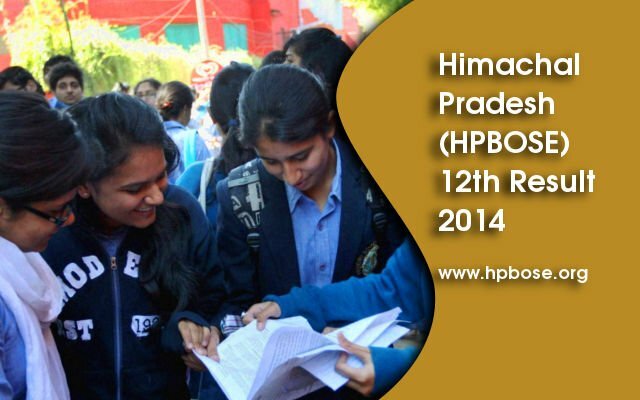 Students who appeared for Himachal pradesh Senior Secondary Exam can get their results from the website hpbose.org. Examination Roll number is required to check the results. HPBOSE 12th Class Exam March 05, 2014 with English language paper and concluded on March 27, 2014 with Philosophy paper. 65.01 Percentage students passed in HPBOSE 12th class exam 2014. Girls scored over boys securing top positions in science, arts and commerce streams. Approximately 1,03,297 candidates appeared for the examination of which 67,151 passed the examination and the remaining 21,362 received compartment. There are 8000 schools affiliated with HPBOSE in Himachal Pradesh. The board has set up 1650 examination centers all over the state. Approximatelty 5,00,000 students take the HPBOSE board exams every year in these centres. Himachal Pradesh Board of School Education was established in 1969 and its head quarters in Dharmshala. At present more than 8000 schools are affiliated with the Board. The Board sets up 1650 examination centers and in the board a huge number of students are reading here and every year many students has pass out. The HP Board is very famous board in the Himachal Pradesh. The board provides many facilities such as library, computer lab, science lab, internet, schools buses and good education.